There will be two propositions on the June 5th ballot. Propositions 28 and 29. Both must be defeated. Read below for the reasons why. Also, I want to suggest to you that you have absolutely no idea what is contained in any proposition on the ballot by reading its title. In most cases, the text of the proposition is exactly opposite of the what the title states. For example, the title to Prop 28 is "Limits on Legislator's Terms in Office." It actually extends the terms of office for legislators from the present limits. Don't ever vote on a Proposition based solely on its title. The fact is that under Prop 28, members of the State Assembly will actually have their time in office doubled, not reduced. Members of the State Senate will actually have their time n office increased by 50%, not reduced. An independent study shows that 80% of legislators will have their time in office lengthened if Prop. 28 passes. A new scheme to limit the terms state legislators serve is on the June 5 ballot. It's as bad an idea as the last scheme. We urge voters to reject it. There was a day when our Editorial Board was more receptive to reforms to impose term limits for political offices. But we have seen enough to know that the presumably well-intentioned and lofty-sounding proposals not only don't achieve what they set out to achieve, they carry unintended consequences that make governance worse, not better. Proposition 28 would both shorten - and lengthen - the potential terms in office for politicians. And that's just the first problem with this so-called reform. Prop. 28 would increase the amount of time a legislator can serve in the Assembly from six to 12 years and in the state Senate from eight to 12 years. But it would reduce from 14 years to 12 years the total time permitted to serve in both houses. Of course, few legislators serve in both houses, so voters who want to cut short the terms of service for elected officials won't achieve much by approving Prop. 28. On the other hand, most legislators serve their time in Sacramento in one house or the other. The proposition would extend those tenures considerably. If voters want to reduce the time politicians hang around in Sacramento, Prop. 28 isn't the solution. We question the assumption behind term limits, generally. In 1990, California voters passed Prop. 140 to limit Assembly members to three two-year terms (six years) and senators to two four-year terms (eight years). The idea was reduce the vast powers of the "old bulls" in the Legislature, especially longtime Assembly Speaker Willie Brown, D-San Francisco. How did that work out? After more than 20 years, the Legislature is more dysfunctional than ever. One of the unintended consequences of shortening legislative terms is to perpetuate a naïve class of rookies in the Capitol who necessarily rely on career bureaucrats and an ad hoc community of lobbyists and consultants for direction in navigating the waters of lawmaking. Just as elected representatives begin to master the system, their terms in office end. Don't get us wrong. We don't yearn for more masterful elected representatives. But we yearn even less for more control in the hands of an unelected bureaucratic establishment, lobbyists and consultants. The only solution to legislators who have been in office too long is the old-fashioned approach: vote them out. The best solution to unaccountable, runaway government, whether politicians or nonpoliticians are running the show, is to reduce its size and scope to the point that the damage done is minimal. Prop. 28 incorporates neither of these common-sense solutions. I agree with the editorial. I am not in favor of term limits. We already have term limits. Every time we go into the voting booth we have the option of ending the term of a legislator. 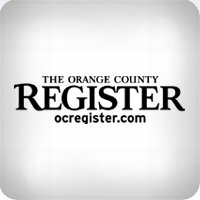 VOTE NO ON PROPOSITION 28! Again the title is deceptive. It doesn't just impose a tax on cigarettes, it imposes a tax on all tobacco products. For those of you who enjoy an occasional cigar, as I do, the new tax on that cigar will average about $1.50. First of all, it is another tax. It will take approximately $800 Million out of the private sector economy at a time when that will be devastating to the economy. Second, there is no requirement that the revenue collected be spent in California. The money can be spent in other states, or in other countries. It creates a new agency which will be unaccountable to the taxpayers. It prohibits the legislature from making any changes to the law for 15 years, so once in, we can't get out for 15 years. Raising revenue to fund cancer research isn't a priority in a state with more pressing needs. What's to like about taxes? Most people view them at best as a necessary evil to help pay for robust government services - a public benefit. But cigarette taxes are an anomaly. In their case, the tax itself is a public benefit. Proposition 29, which would place a $1 levy on each pack of cigarettes sold in California, would serve the common good by making cigarettes more expensive. Economists have demonstrated conclusively that taxes on cigarettes are an effective tool for reducing smoking rates, which not only benefits the health of current and potential smokers but clears the air for people who would otherwise be exposed to secondhand smoke. Smoking, the single biggest cause of premature death in the United States, costs California taxpayers billions annually in medical care to treat people with tobacco-related diseases through Medi-Cal, Medicare and other public health programs. And California's cigarette tax, at 87 cents per pack, is well below the national average of $1.46. Proposition 29 is well intentioned, but it just doesn't make sense for the state to get into the medical research business to the tune of half a billion dollars a year when it has so many other important unmet needs. California can't afford to retain its K-12 teachers, keep all its parks open, give public college students the courses they need to earn a degree or provide adequate home health aides for the infirm or medical care for the poor. If the state is going to raise a new $735 million, it should put the money in the general fund rather than dedicating it to an already well-funded research effort. Funding priorities shouldn't be set at the ballot box. The initiative is clearly modeled on Proposition 71, which eight years ago moved the state into the medical research business in a big way by creating a stem-cell agency with $3 billion in bond funding. This page endorsed that initiative. But at the time, underPresidentGeorge W. Bush, the federal government was shirking its responsibility to properly fund embryonic stem-cell research and was tying the hands of researchers by limiting them to existing, less useful stem-cell lines. In addition, Proposition 71 provided a defined amount of money for research - Proposition 29 would spend far more over the years - and created a structure under which the state and its taxpayers could share in royalties and licenses from new discoveries. It remains to be seen whether the state will reap that supposed bounty, but at least it made sense to hope that California might become a national center for embryonic stem-cell research. By contrast, cancer already receives more research funding from the National Institutes of Health than any other disease or medical condition. The $5.4 billion a year that the NIH spends on cancer research is augmented by spending from other federal agencies, private donations and corporate research and development. In addition, the NIH spends more than $2 billion a year on research on cardiovascular diseases and $1 billion on lung disease, two other fields eligible for Proposition 29 funding. It's not clear why California should create a new state agency to replicate functions of the NIH. Another problem with the initiative is that although there is a statement of intent that says that the money should be used to fund research in California, there is no mandate to keep it from going to research projects out of state. And structurally it doesn't make sense either: Medical research benefits everyone in the country - not just Californians - which is why taxpayer money to support it logically comes from the federal government. Voters also should be concerned about the lack of accountability under Proposition 29. 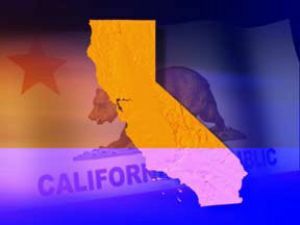 The nine-member board of the new agency would comprise representatives from three University of California campuses and three of the state's federally recognized cancer centers, as well as a physician from an academic medical center and two members from advocacy groups. It would have no one representing the public, no one to stand up for the idea that taxpayer money should be spent efficiently and fairly, to ensure that salaries aren't exorbitant and that money doesn't get sent out of state, among other things. Although there are rules preventing a board member from voting on a grant application from his or her own organization, there is too much opportunity for mutual hand-washing when it comes to awarding funds. This came up as a criticism of the stem-cell agency when, by 2010, nearly $1 billion had been granted to institutions with seats on the board. The tobacco research agency would be audited annually, but what would be the point? The state would be powerless to change the agency's ways even if it found serious problems. Tobacco companies are contributing more than $20 million to the campaign to defeat Proposition 29, outspending the pro-tax campaign - which is supported by bicycling star and cancer survivor Lance Armstrong - by more than 5 to 1. We couldn't disagree more with their reasons for doing so, and it makes us uncomfortable to agree with them at all, but from our perspective, this initiative takes perfectly good tax money and misspends it; we'd rather see an alternative proposal that hikes the cigarette tax but spends the money more wisely. We recommend a no vote on Proposition 29. Vote NO on Proposition 29! These voter recommendations are being provided to our members so they are fully informed when making decisions as to how to vote. 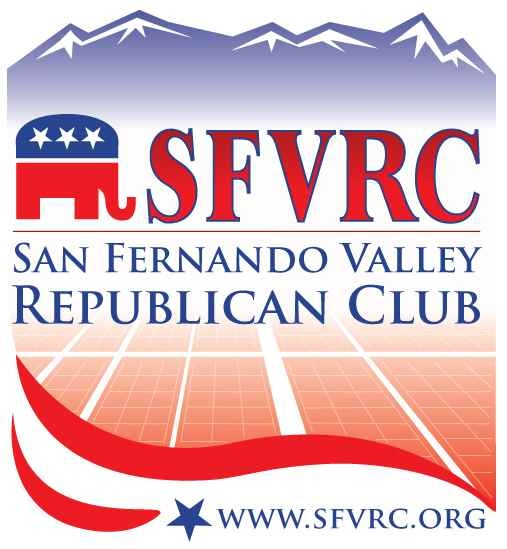 Also, a reminder to join us on Tuesday night, May 1st to hear Elizabeth Emken, Senatorial candidate and Shawn Steel, RNC National Committeeman.